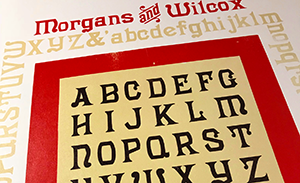 This letterpress poster has been produced as a specimen of the fairly rare Morgan & Wilcox wood type font known as Poetic. Printing was done at the Western New York Book Arts Center by Richard Kegler. 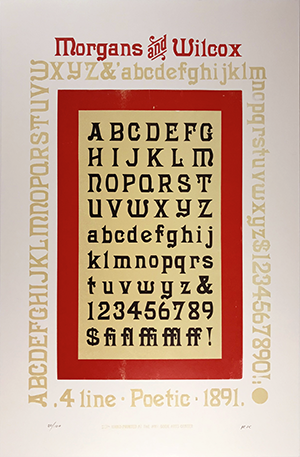 This 4-line version was found in WNYBACs collection was hand set on a Vandercook proofing press and run with black, red and tan inks on Offwhite coated paper.